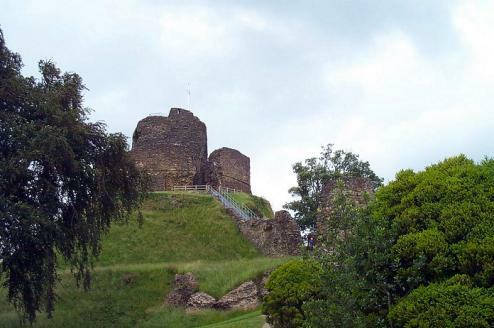 The first castle on this site, situated on top of a large, natural mound, was constructed soon after the Norman Conquest. It was the typical early Norman castle, constructed of earthworks with defensive ditches and, most probably, timber palisades. It was first known as Dunheved and, as it controlled the main route into Cornwall, became the administrative headquarters for the great Earls of Cornwall. During the 13th century, the earldom was held by Richard, a younger brother of Henry III, one of the wealthiest and most powerful men in England at the time. 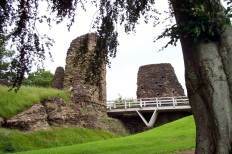 He had the castle re-built in stone with a curtain wall skirting the original mound, new gatehouses incorporating solid drum towers, a new circular high tower within the keep and a Great Hall within the twelfth century Bailey. However,in the late thirteenth century, after the death of Richard, the administrative capital of Cornwall moved from Launceston to Lostwithiel. 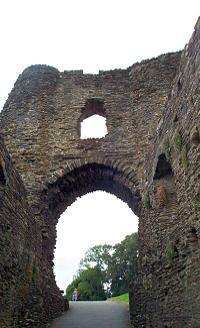 The Great Hall was used as an Assize Hall until the early seventeenth century but the castle fell into disrepair despite the North Gatehouse being used as a prison. George Fox, the founder of the Quakers, was confined there for eight months in 1656. By the time of the English Civil War, the castle was in such a poor state of repair that the Parliamentarian army did not bother to reduce the defences as they did elsewhere.